The New England Patriots have a way of finding the right players at the right time. 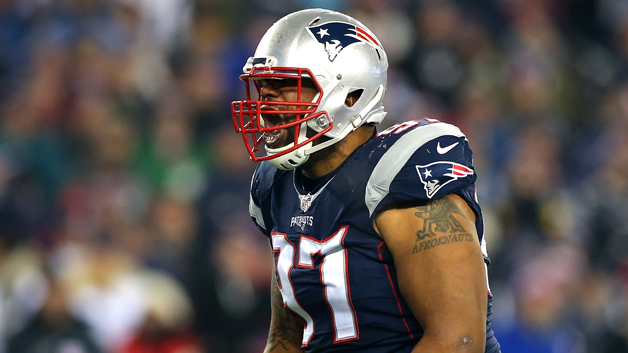 That’s the case with defensive tackle, Alan Branch. Branch first joined the team when the Patriots signed him to a one-year contract on Oct. 29, 2014, two months after he was released by the Buffalo Bills following a DUI arrest. Branch averaged 20 snaps per game that year behind the likes of Vince Wilfork and Sealver Siliga. In 2015, he played 39.6 percent of snaps. And this season, he made a huge jump to playing 60.1 percent of the team's snaps. In just a matter of a few years, Branch went from wondering if he’d ever play the game of football again to becoming a huge part of a defense that led the league in points allowed. The 32-year-old, 350-pound, run-stopping force is currently in the best season of his career. He set career highs in tackles (49), pass breakups (three) and run stuffs (eight) in a very impressive performance this year. Branch has delivered in a big way throughout this whole season. He and the Patriots’ defense hope to keep the momentum going when New England takes on the Atlanta Falcons in Super Bowl LI. Keep doin’ your thing, big man.